We went through a phase where Harley was getting picky with his meals. He no longer wanted to touch his favourite kibbles and we realized he might have developed an allergy. This took us on a whole ride into researching canine food and collating a whole lot of information. I thought I would share my best dog food reviews of the top dog food brands from well-known ones such as Orijen, Taste of the Wild, Wellness and so on. When we try to determine how good a certain food is, it can be quite difficult because there are other factors to consider such as the condition of the dog. From the behaviour of your dog to its size, to its breed, or even its health condition (eg. sensitive stomach) – each of these factors will have to be included in your consideration of which one to choose. Top Dog Food Brands: What Makes Healthy Dog Food? How To Plan New Food For Your Dog? Canidae is one of the best dog food brands. They pride themselves on being USA-made, in USDA, FDA, and AAFCO approved facilities. High quality grains, veggies, fruits are often included. Using fresh natural ingredients, their main protein sources come from chicken meal, turkey meal, lamb meal and fish meal. Fillers, antibiotics, hormones, preservatives, artificial flavours, artificial colors are not included. Grain Free Pure (My Rating: 4.5) – promises to be of premium quality with better ingredients than generic ones. It also contains fewer chemical preservatives and has a simpler formula for more sensitive dogs. Only about 7 to 10 ingredients are included and these are usually recognizable to us. All formulas used in this category is grain gluten free. They have a particular formula for adult dogs, like Elements, Land, Sky, and Sea. Available in canned and dry varieties. Life Stages (My Rating: 4.8) – This formula suits all size of breeds, ages, and sizes. It’s AFFCO compliant and has no corn, wheat or soy. Probiotics are even included to help your pet’s digestion. I recommend this if you have different dogs of different ages at home – just makes it much easier when you don’t have to transition between different stages. TidNips Treats (My Rating: 4.2) – Small sized. It’s perfect as a reward for your pet during training. I like that it doesn’t contain chicken by product. In terms of price range, I would say Purina is average among the best dog food brands. The 3 most popular offerings are: Purina Pro Plan, Purina ONE and Purina ONE Beyond. Some people might steer away from Purina because most of their products use poultry by-products and corn. It has grain contents too. For certain breeds, grain should be limited as it might not be as easy for them to digest (eg. meat proteins). Purina’s range also focuses on easy digestion and good proteins for muscle development. On a per ounce basis, they cost about the same as Purina Pro Plan, which is Purina’s most expensive line in dog meals specialty stores. In recent years, Purina has made some changes by adding more soybeans to their formula, a smart blend for Purina ONE. We know that soybeans are high in protein and with this it will reduce the dependence of meat protein. Purina also introduced Purina ONE Beyond, two natural dry products, plus vitamins and minerals. Both are made with nutritious whole grains and real meat as the No. 1 ingredient. It does not contain corn. Purina Recall: Best dog food reviews say that the latest recall was in March 2016 where their Pro Plan(5 types from the wet range) was recalled due to insufficient vitamin or mineral levels as claimed. In 2011, their dry cat range was recalled on suspicion of salmonella. The Rachael Ray range is another best dog food brand. It features grain-free and filler-free ingredients. I wouldn’t call it as premium top quality range but it is a little healthier than the average one in my opinion. It does have animal fat and corn meal but only in very small amounts. It is made in Thailand and is FDA compliant. They even explicitly state that no foods are sourced from China, as most of us are scared because of this. They don’t use any poultry by-products, artificial flavors or artificial preservatives. And the thing is that they use real meat and wholesome veggies, plus essential nutrients. Celebrity chef Rachael Ray also donates part of her sales to 4 animal rescues! 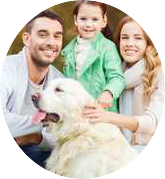 Natural Balance is an Australian brand developed with nutritionists and vets over 20 years. comes in 6 varieties of selection: canned, dry, stew, rolls, threats and puppy diets. They also target canines with sensitive stomachs and skins specifically. According to Consumer Affairs Best Dog Food Reviews, Natural Balance is often used by trainers. They are known for their canned range and limited ingredient diets that help to minimize the number of ingredients your dog gets exposed to. They do not use grains such as wheat, barley, rice or corn. They are known for their blend of premium protein and carbohydrates that are not usually found in other brands. The whole deal about limited ingredient diets is that they include single-sources of animal protein, limited carbohydrate sources and unique proteins instead. 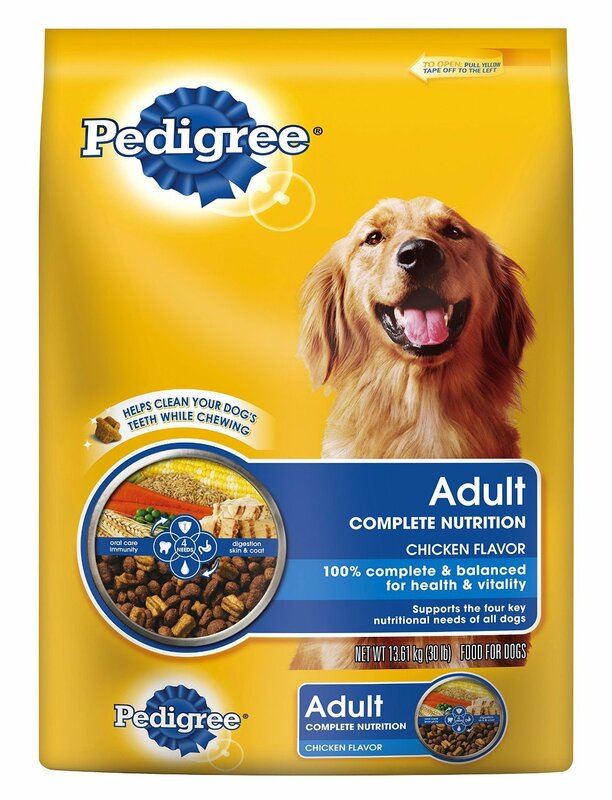 Pedigree is one of the top dog food brands in the market. Pedigree makes dry, canned and moist products, and treats for canines. The range caters to every life stage: from puppies, adults to mature canines. There are also products for particular health needs and problems; examples are oral care, healthy skin and coat, hip and joint, weight problem, etc. as shown below. Judging from its ingredients, Pedigree is of average quality when compared to others. Pedigree, being a plant-based dry dog food, has content of poultry by-products and meat-and-bone, as primary sources of protein for your dog. A main ingredient they use is corn which isn’t the most idea ingredient. Some dogs are allergic to corn and it’s not the greatest source of protein. It is priced very affordably so if you are looking for something in the lower price range, consider Pedigree. Making their entrance in the industry, Taste of the Wild quickly gained popularity since 2007. In terms of ingredients, I would class it to be of higher quality. Despite being a more premium formula, their price is surprisingly lower compared to other so called premium formulas. They also focus on providing a great source of ‘natural’ and grain free food for canines. You can find easily the AFFCO approved label on this top dog food brand. I love that the top 5 ingredients are animal sources of protein. Who Makes Taste of the Wild? US based manufacturer, Diamond Pet Foods Inc, makes Taste of the Wild. They have factories in Missouri, California and South Carolina. Purina Pro Plan is the more premium product of the Purina line. They carry different foods to cater to different life stages as well as health conditions (sensitive skin and stomach or weight management). They also use real meat, fish or poultry as the top ingredient. Wellness is a premium food that has high-quality ingredients. They use real meat at human grade ingredients, no corn and any by-products. Wellness also has been quality-proofed in the Whole Dog Journal. The product sources come from the United States and Canada, or from New Zealand, Australia, and Belgium. Wellness has a solution for almost every condition and breeds. Popular with breeders, Diamond Naturals is a holistic food focused on high quality ingredients. Each of their dry dog formulas is boosted with their K9 Strain Probiotics. So the ‘good’ bacterial can help with your dog’s digestion and immune system. Antioxidants and superfoods are included in their range. These are highly nutritional and include popular human favorites like kale, chia seed, pumpkin and blueberries. A star ingredient they use is Salmon Oil which is a good source of DHA and is great for brain and vision in pups. If your dog is sensitive to corn, wheat or soy, you will find that the whole grains Diamond Naturals use (eg. cracked pearled barley, quinoa) will help a lot. I can’t leave Orijen out of my best dog food reviews. It uses ingredients that I would class as better than average. Featuring fresh regional ingredients, fresh whole meats, Orijen believes that our dogs should do without high-glycemic carbohydrates and plant proteins. Low in carbohydrate, high in freshness and inclusive of whole fruits and veggies, I like Orijen for their wholesome approach. A Chihuahua is not as active as a young Australian Shepherd, which needs more protein for its exercise. Adult breeds are more prone to getting health issues such as Arthritis so they really need proper nutrition. Different foods will have different nutritional content. Some are higher in protein which is what a puppy needs. To prevent canines from developing cancer, it is recommended that they be fed low carb meals to help stop cancer cells from spreading. Ultra-low carb meals: Canines with cancer usually need a low carb diet in order to starve cancer cells and prevent them from spreading. For an older canine, they are more likely to get kidney problems. Meals that are low in protein might be ideal. For a growing puppy, there’s a need for lots of high fat and protein to support growth. 1 of 4 canines have a problem with being overweight. Going for low calorie meals is a must in this case. AFFCO on its label. This is to ensure that a particular product is nutritionally balanced. You might want to look out for the Product of USA label. You might want to look out for the “new recipe” label. This label isn’t necessarily negative but you might want to be more cautious as there are chances your pet might not take to the new recipe very well. Before thinking of providing new meals, make sure you read more information about like its ingredients and any reviews on it. Put simply – it’s the opposite of the above mentioned. For example, don’t feed high protein meals to a canine with kidney disease. Instead, give it to a puppy who will benefit from it. You might be considering transitioning your dog to a new food. Whether it’s due to its age or health needs or your own preference for certain brands, you need a new plan for your canine’s diet. If you want to make the change, the idea is to add new food gradually. Around 20% mixed into the regularly food you feed them. According to Dr. Jennifer Coates, this 20% should be added accordingly, day by day, into your canine’s meal. During this 5-day period, be sure to carefully observe your dog and look for problems that might appear. Signs that are abnormal may include vomiting, gassiness, developing diarrhea or loss of appetite. If these happen, it’s better to take your dog to the vet for a better analysis. Wet food can add hydration to diets that aren’t really inclined to drink enough water during the day. There are other reasons why it could be considered a practical choice. Dogs past a certain age can have a fading sense of smell. They might find wet meals more appetizing because of the richer scent and flavor. It can also be a good choice when you have a sick dog that has lost its appetite. If your dog has teeth missing, wet meals might also make mealtimes easier. Eating wet meals can of course, become quite messy. The shelf life of wet food also drastically decreases once opened. Most of the time, wet food is also a lot more costly than dry kibble. They also usually come in smaller quantities. Dry kibbles are very convenient when it comes to storage. Even when opened, the shelf life does not decrease unless the food got wet. All you need for storage is a plastic bin with a tight cover to protect the kibble from pests and to keep it fresh. The other convenient thing is being able to put enough in the feeder or bowl to keep your pup fed for the whole day. Dry kibbles are suitable to be left out for hours, if not even days. Storage becomes a breeze, as all you need is an airtight container. Some dry biscuits are also made in such a way that it cleans the teeth as your dog is eating. The downside is that it does not have the moisture content of wet meals. This can become a problem for older or sick canines. The animal based proteins in dry food is also a lot less than wet food. It is actually a very important factor in your dog’s development.